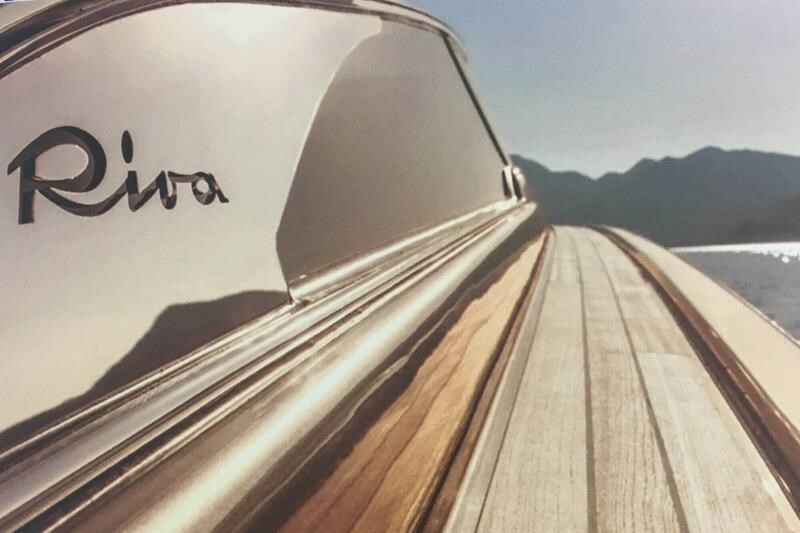 Get on board for The “Beautiful Day” cruise around the island. 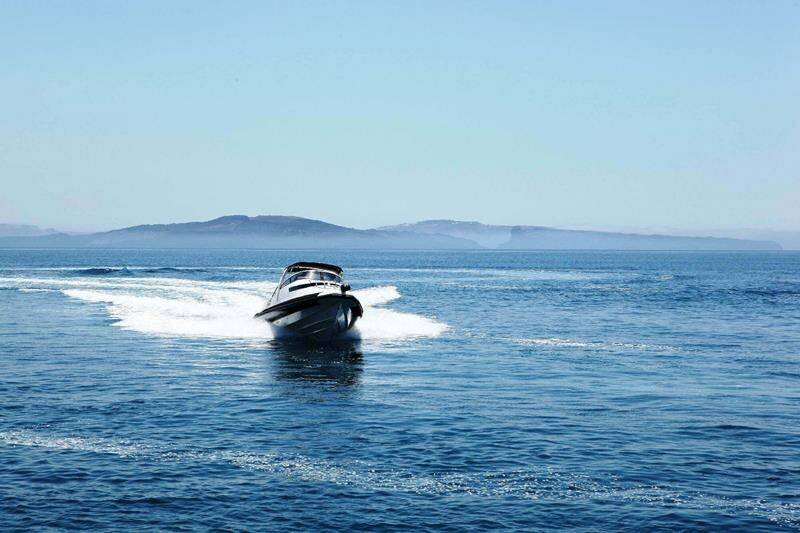 We embark from the picturesque Ammoudi bay, right below the cosmopolitan village of Oia. 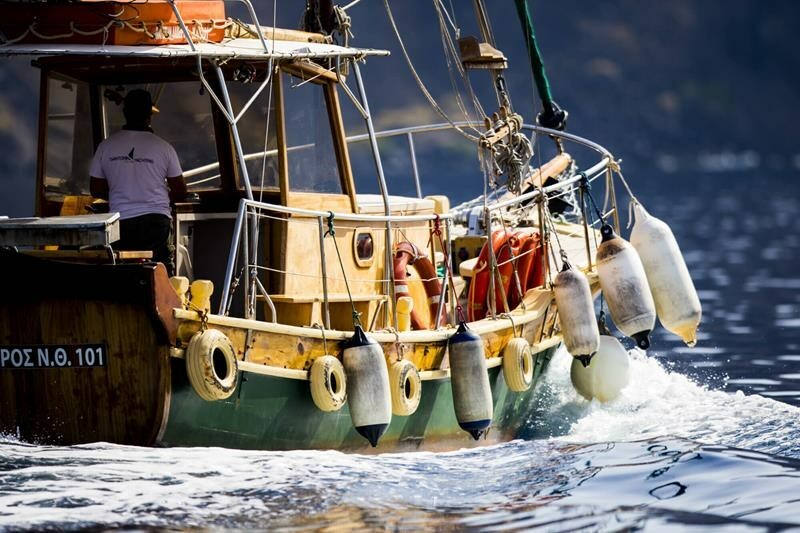 The trip begins with an awe-inspiring sailing to the Volcano and the Hot Springs, a true miracle of nature, therapeutic waters filled with minerals allowing swimmers to enjoy a natural spa experience, where the sea water is significantly warmer than in Santorini and it is mixed with sulphur. 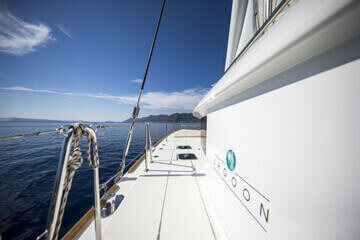 Following our rota, the boat sails towards Aspronissi islet and passes by the Indian Rock and the Venetian Lighthouse. 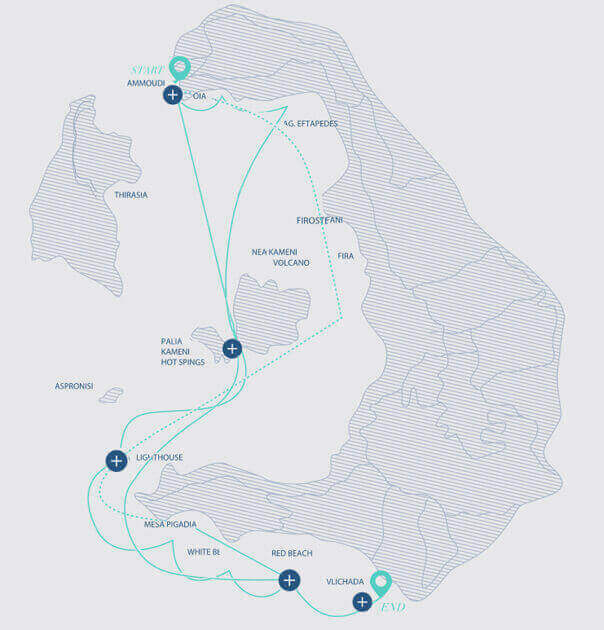 The subsequent stop is Mesa Pigadia, located right next to the unique of beauty White beach, on board preparations for a BBQ full of Greek flavours accompanied with local wine starts. Sailing away for a refreshing dive in the dazzling waters of the famous Red beach is what comes next and the cruise ends at the marina of Vlyhada, which is situated in the southern part of the island. But our services are not over yet; visitors will be driven back to their hotel by our land fleet. 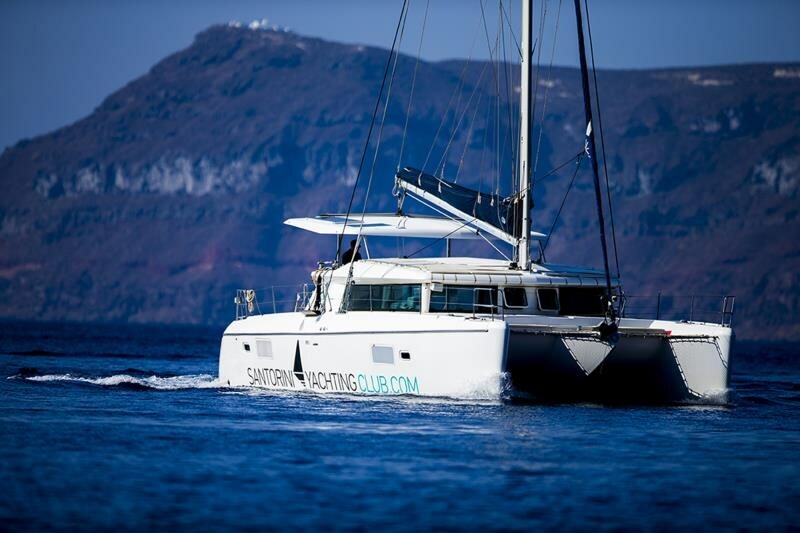 The ideal way to discover Santorini Island and its gems is by boarding on a luxury catamaran! 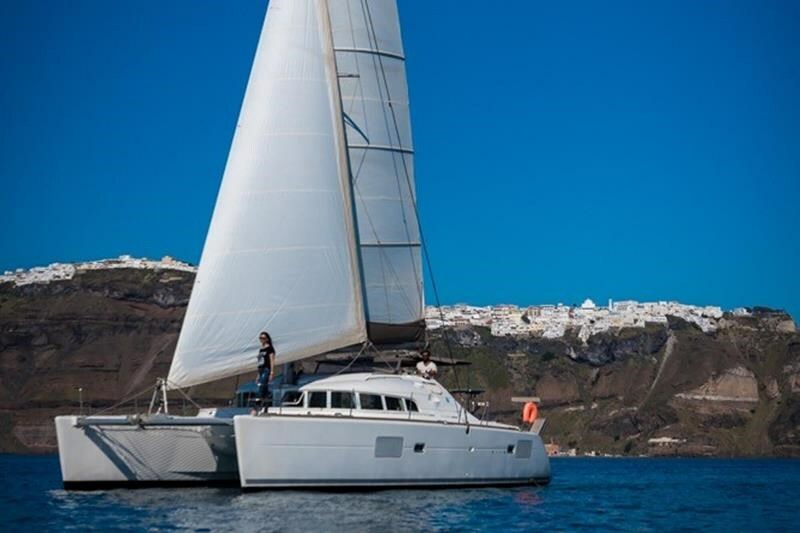 Whether seeking a romantic Santorini catamaran sunset cruise or a fun and active trip, a sailing catamaran tour will certainly enable guests to appreciate the contemporary amenities and first class hospitality of our fleet, while at the same time they enjoy the breath-taking landscapes and dazzling beaches of Santorini. 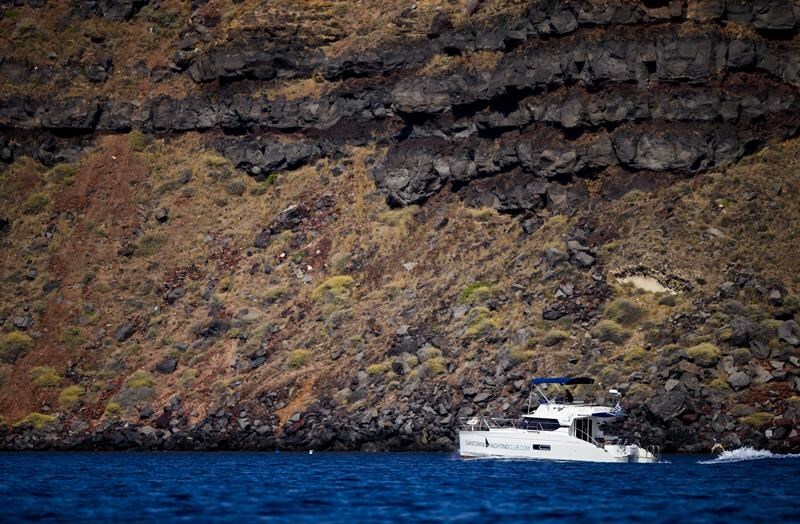 The difference between the catamaran tour Santorini offers and the catamaran trips in other islands, is that this magical place is characterized by a unique coastline morphology, due to its impressive volcano. 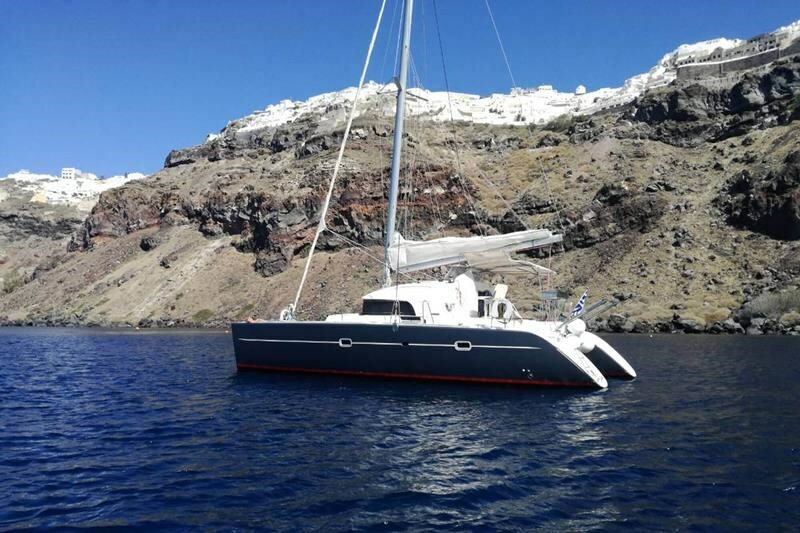 And taking a Santorini catamaran tour is even more enjoyable when sailing on one of our elegant catamaran yachts. 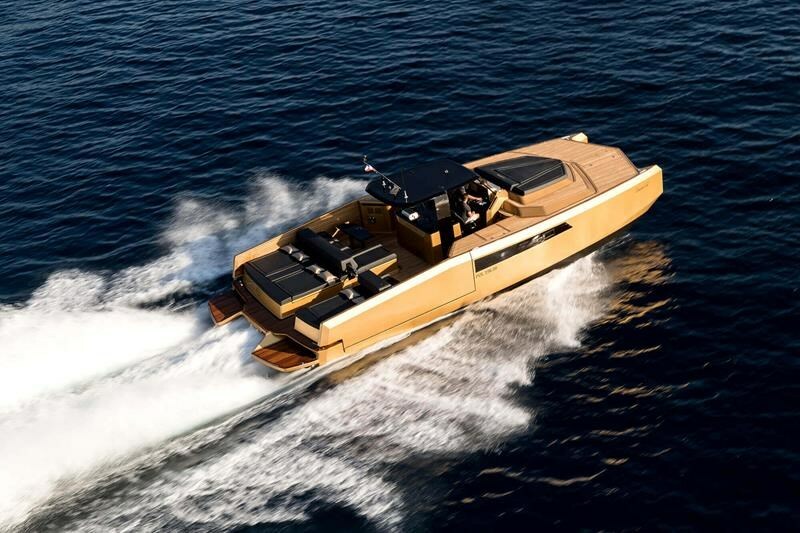 Our new fleet features the most innovative and stylish yachts, equipped with modern electronic and navigation systems of the latest technology. 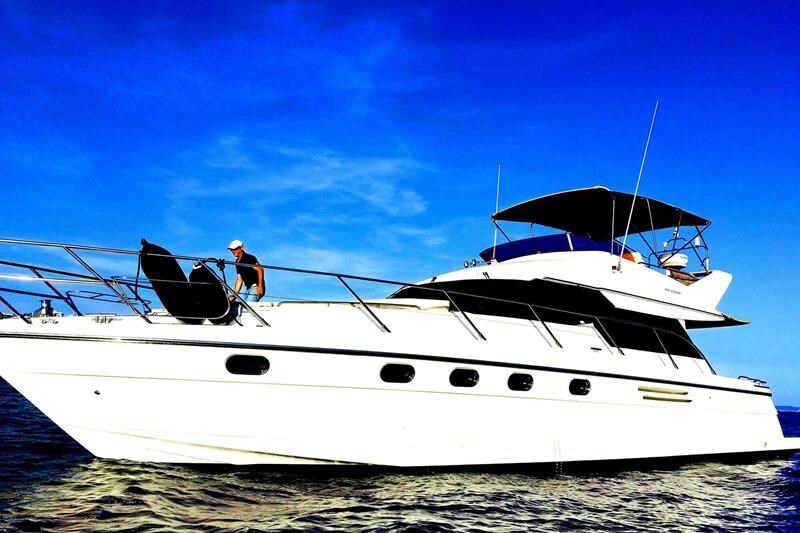 All boats are new and offer comfortable and luxurious accommodation on board.